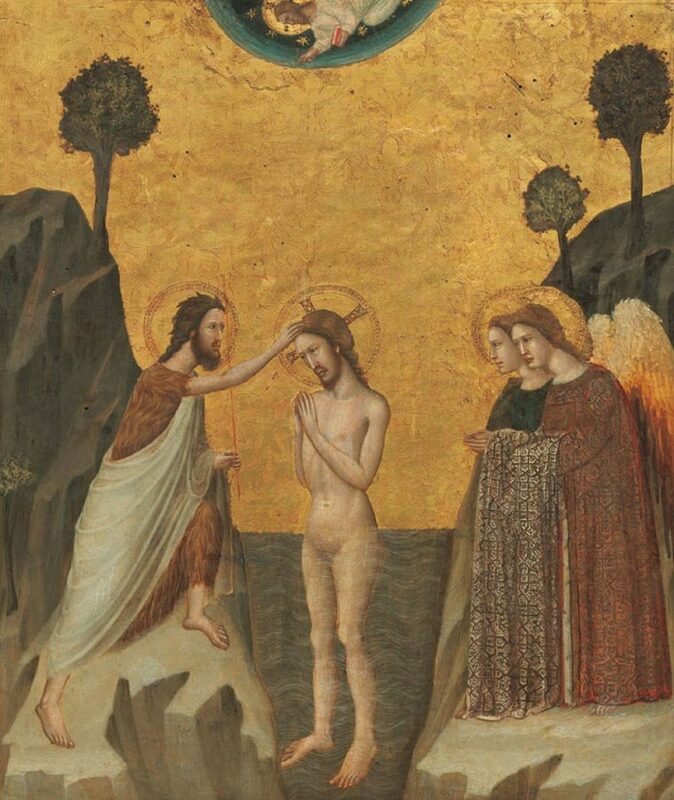 Conceived and curated by the museum director Cecilie Hollberg, this exhibition shows the importance of textiles as an art form in Florence in the 1300s, both from an economic and an artistic perspective. It was in the 1300s that – fashion – as a new phenomenon linked to luxury began to develop. Despite the very high costs of raw materials and dyes, the quality of Florentine goods made in wool, and later in silk, reached such a level of excellence that it spread across all of Europe, despite wars, frequent epidemics, financial crises and social conflicts. Especially after the Black Death, fashion that was rich in opulence and luxury spread quickly across Europe, a sign of the desire and celebration of life. 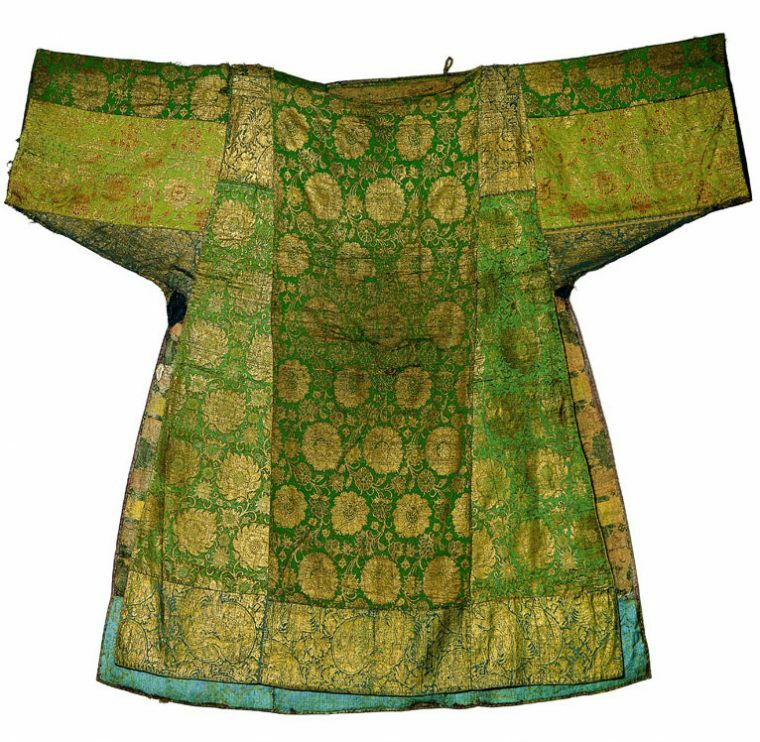 Luxurious fabrics were sought after from the Middle East to Asia, from Spain to the court of the Holy Roman Empire of Prague, from Sicily to the Baltic Sea. In short, it was a phenomenon of extraordinary geographic spread and unparalleled prestige in addition to being an enormous source of wealth. The processing of textiles soon became the basis of the enormous wealth of Florence. The large guild corporations in the textile sector, the Wool Guild and the Silk Guild, known as the Arte di Calimala and Arte di Por Santa Maria in Italian, become the real possessors of political power and, at the same time, extraordinary patrons of art. They were able to afford to make important investments not only in the textile sector but also in luxury goods and in architecture and artistic production. Their power in 14th century Florence is very evident in history and today’s Florence. The exhibition focuses on textiles born during this period of wealth and their “photograph” in paintings of the time. Artisans and painters found plentiful inspiration in the fabrics and fashion of that era that they replicated the luxurious weaves of the fabrics on painted panels and frescoes throughout the city, as illustrated in the woven and painted works in the exhibition. – a 13th century Crucifix from the Accademia Gallery itself restored for the exhibition. During the exhibition, the museum is offering special workshops for families every Saturday at 9am and 11am. 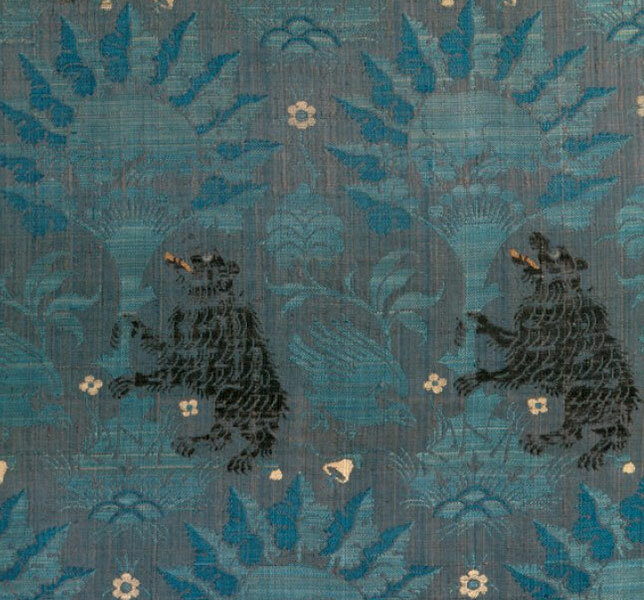 The workshop and guided visit is an introduction to the textiles followed by a treasure hunt through the exhibition to look for the textiles that were just introduced. The workshop is for children 6-10 years old. To book a spot for the free workshops (and book museum tickets), email firenzemusei@operalaboratori.com or by calling 055-294-883. Notice the extraordinary brocaded figures of bears, dogs and birds. Fabric remnant of Italian origin, today held at the Museum für Kunst und Gewerbe in Hamburg.